Robert G. Hagstrom is one of the best-known authors of investment books for general audiences. Turning his extensive experience as a portfolio manager at Legg Mason Capital Management into valuable guidance for professionals and nonprofessionals alike, he is the author of six successful books on investment, including The Warren Buffett Way, a New York Times best-seller that has sold more than a million copies. 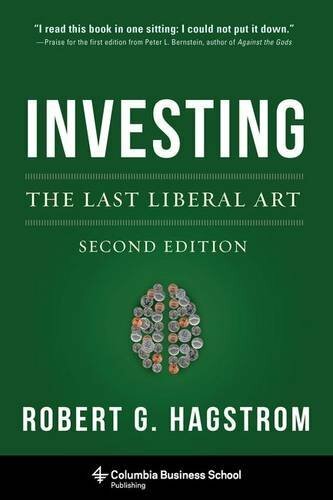 In this updated second edition of Investing: The Last Liberal Art, Hagstrom explores basic and fundamental investing concepts in a range of fields outside of economics, including physics, biology, sociology, psychology, philosophy, and literature. He discusses, for instance, how the theory of evolution disrupts the notion of the efficient market and how reading strategies for literature can be gainfully applied to investing research. Building on Charlie Munger's famous "latticework of mental models" concept, Hagstrom argues that it is impossible to make good investment decisions based solely on a strong knowledge of finance theory alone. He reinforces his concepts with additional data and a new chapter on mathematics, and updates his text throughout to reflect the developments of the past decade, particularly the seismic economic upheaval of 2008. He has also added a hundred new titles to the invaluable reading list concluding the book. The Prosperous Heart: Creating a Life of "Enough"